The Razer Phone was aimed at mobile gamers with a high 120Hz screen refresh rate and top-notch specifications. What was first regarded as a niche seemed to take off and competitors are starting to take notice. 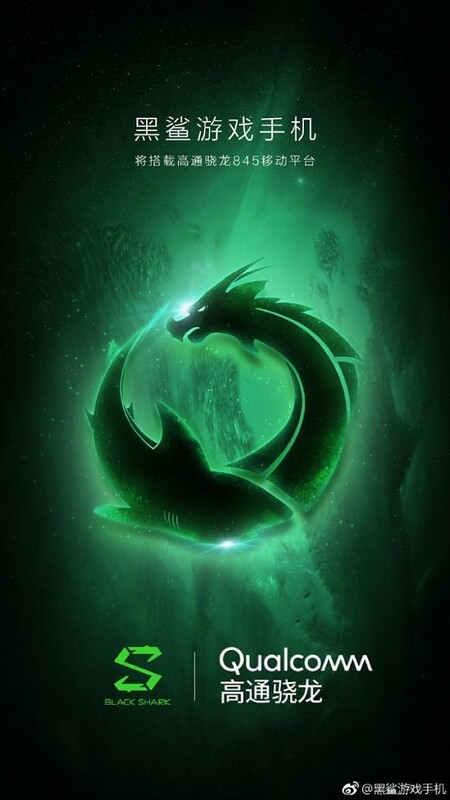 “Black Shark,” a company whose primary investor is Xiaomi, is going to be launching a competitor to the Razer Phone with some pretty powerful specifications. While we’ve seen rumors of such a device arriving for a while, it’s been finally confirmed with a teaser image posted on the company’s official Weibo account. The only information we can gather from the poster is the device will be powered by the Qualcomm Snapdragon 845. While there’s not much else we can gather from the poster, previous leaks from Antutu benchmarks may point us in the right direction for final specifications of the device. Note that the leaked specifications are not confirmed but purely speculatory based on benchmark results. According to the Antutu benchmark leak, not only will we see the Snapdragon 845 but also 8GB of RAM just like in the Razer Phone. The device’s display also comes in with an 18:9 aspect ratio at 2160×1080 pixels. The display size and refresh rate are unknown. As for storage options, we saw a 32GB variant but there will undoubtedly be other storage options and maybe even a microSD card option. The phone will be running Android Oreo out of the box, meaning not only will we see some extremely powerful hardware but we will also see Project Treble support in tow. All in all, the device is looking to be a powerhouse. While we have no information on pricing of the Black Shark, it would be very plausible for a Xiaomi-backed phone to have a lower than expected cost. Especially to make it really competitive against the Razer Phone. It could end up at a flagship price, but we never know when dealing with Xiaomi.